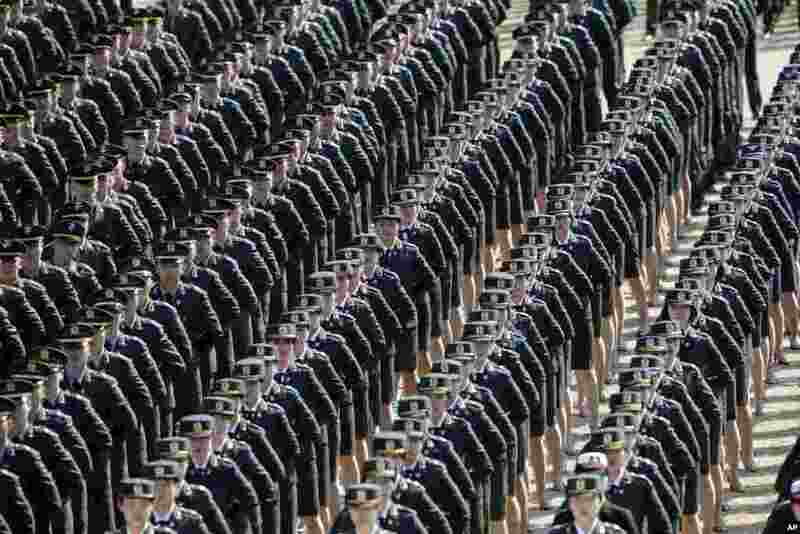 ۱ New South Korean military officers attend the joint commissioning ceremony of 6,478 new military officers of the army, navy, air force and marines at the military headquarters in Gyeryong, south of Seoul. ۲ Britain's Duchess of Cambridge, Kate Middleton, chats to cast members Sopie McShera, left, and Lesley Nicol during an official visit to the set of the TV series Downton Abbey at Ealing Studios in London. 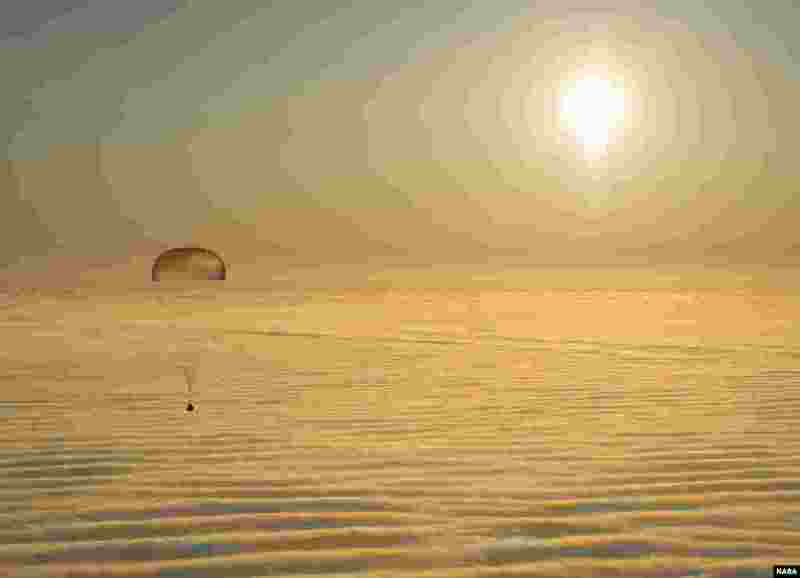 ۳ The Soyuz TMA-14M spacecraft is seen as it lands with Expedition 42 commander Barry Wilmore of NASA, Alexander Samokutyaev of the Russian Federal Space Agency (Roscosmos) and Elena Serova of Roscosmos near the town of Zhezkazgan, Kazakhstan. 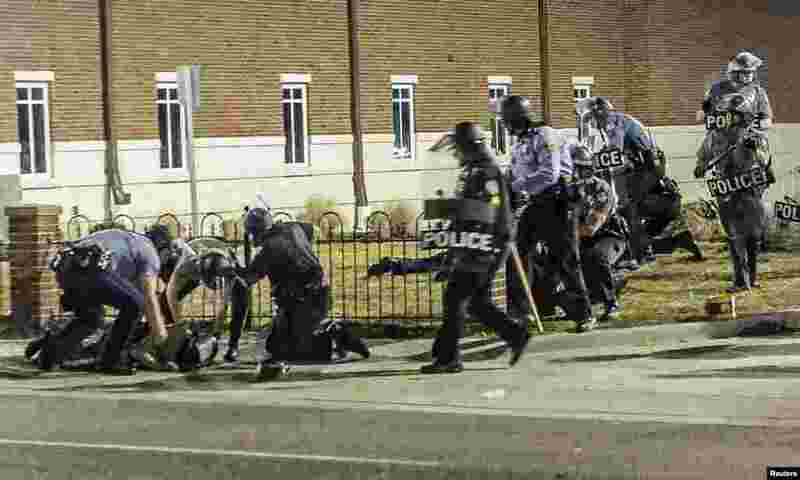 ۴ Police officers respond to a fellow officer hit by gunfire outside the Ferguson Police Headquarters in Ferguson, Missouri. Two police officers were shot in what officials called an ambush following months of tensions over relations between police and minority groups in the St. Louis suburb.